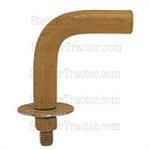 ABC527 Concave Light Mounting Washer / Retainer 2-1/4" OD. 9/16" Center hole. Metal. 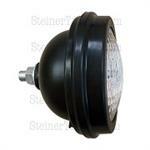 JDS581 12 Volt Lo Beam Sealed Beam Head Lamp Assembly 4.5" Diameter. 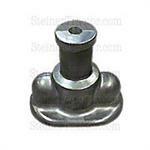 Also used as a taillight on 1949 & up models. 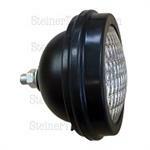 JDS582 12 Volt Hi Beam Sealed Beam Head Lamp Assembly 4.5" Diameter. Also used as a taillight on 1949 & up models. JDS947 Light Mounting Clamp Half 2 required per light This light mounting half clamp is used with our JDS953 and R43662 bracket our JDS3509 light mounting bracket. JDS953 Light Mounting Bracket 2 required per light This light mounting half clamp is used with T19178 bracket our JDS953 and R43662 bracket our JDS3509 light mounting bracket. ABC460 12-volt Sealed Hi-Beam Lamp Double Contact 35 Watt 4.365" O.D. 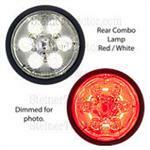 ABC548 12 Volt Round Red Tail Light Assembly with Liscense Lamp Window 4" diameter 2 stud mount 1-7/8" center-to-center studs Black ABS plastic base 12 Volt If 6-volt is required, please also purchase ABC1439 bulb. 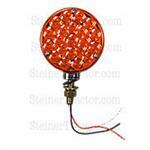 JDS3271 12 Volt Outer Fender Light With Rubber Bezel 4-1/2" diameter sealed beam, 4.775" O.D. rubber bezel, 1 terminal for wire and threaded post out rear of housing. 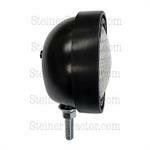 JDS3015 Inner Fender Light with Rubber Bezel 12 Volt 4-1/2" diameter sealed beam, 4.775" O.D. rubber bezel, 1 terminal for wire and threaded post out rear of housing. 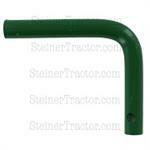 JDS1607 John Deere Rear Light Arm 0.625" O.D.